Professional teeth whitening and veneers can help you present your best self to the world around you, while bridges and crowns preserve your teeth and the structure of your jaw. Apple Dentistry believes that healthy teeth are beautiful teeth, and we always put your oral health first. Our dentists perform thousands of cosmetic dentistry procedures each year. Having a great smile improves your self-confidence, which can have a positive impact on the social and professional aspects of your life. Cosmetic dentistry isn’t just about pretty smiles though. 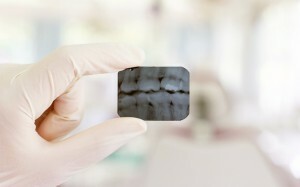 New techniques and advancements in dentistry materials can aid your back teeth as well as the ones seen when you smile. These advancements mean that your mouth can look great, be healthier, and function better – all at the same time! A person’s smile is often the first thing you notice about them. Having a healthy, naturally engaging smile can help you leave a positive first impression. Cosmetic dentistry can help restore the natural color, shape, and arrangement of your teeth which can keep you happier and healthier. Cosmetic dentistry can make you look younger, boost your self-esteem, and even help prevent further dental damage. When you can combine superior oral health care with the latest in cosmetic dentistry, you’re treating your smile with the respect it deserves. Apple Dentist Cosmetic Dentists also offers inlays and onlays, bridges, and professional teeth whitening. Many people enjoy the convenience of whitening at home, but if you have sensitive teeth you can save yourself some pain – and even permanent damage – by visiting your cosmetic dentist. At Apple Dentist, we offer high quality cosmetic dentistry and materials at an affordable price because we believe that everyone deserves to enjoy the confidence that comes with a lovely smile.